Joanna Volpe is the founder of New Leaf literary agency. New Leaf represents Veronica Roth, author of the Divergent series, now a hit movie. They also represent Leigh Bardugo, author of the New York Times best seller Shadow and Bone, which is scheduled to hit the screen in 2015. 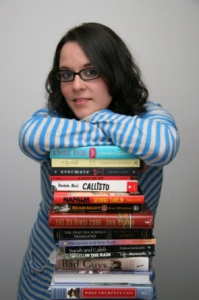 Joanna has build a stable of talented authors who share her passion for storytelling. She also hired a screen agent with an impressive resume. She has business savvy and keen editorial instinct. She has succeeded at every stage in her career. She is an agent to watch, an agent to work with.